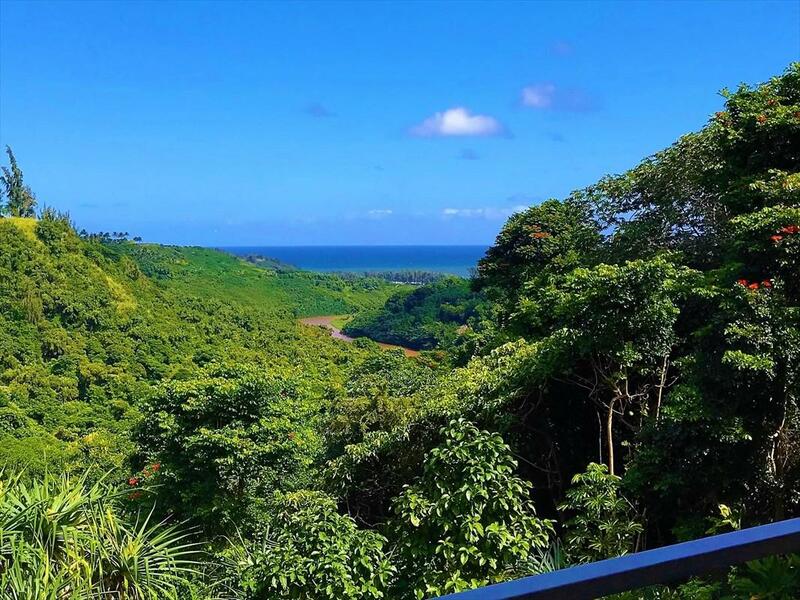 "Honu Lani is a secluded Kilauea Valley Rim Estate with distant Ocean and River Views. 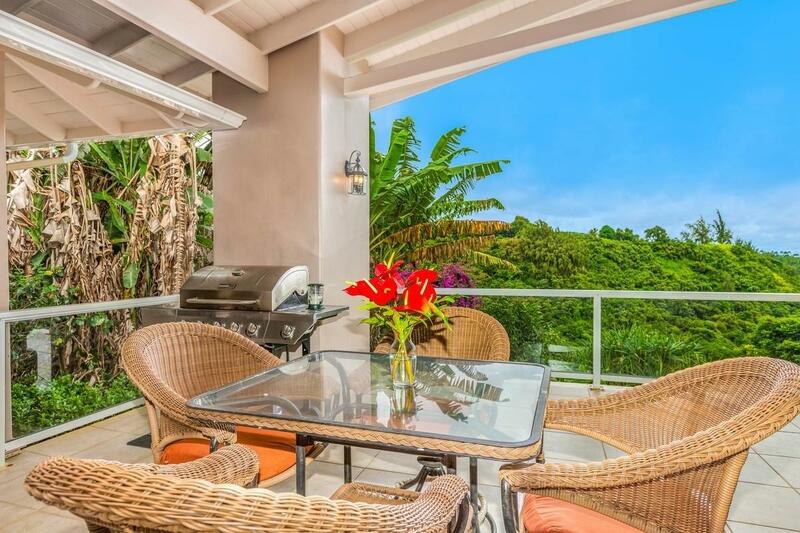 Permitted as a vacation rental, TVNC #4213, this property invites nature lovers to enjoy the peaceful surroundings. 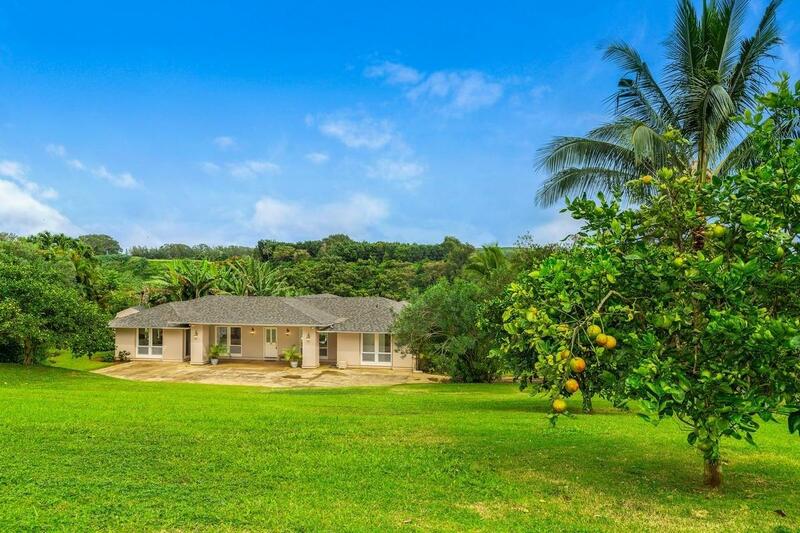 A real treasure, tucked away off of Kolo Road just on the outskirts of Kilauea Town, this one-acre tropical hide-away features a single level home with an open concept floor plan, open beam ceilings, and newly installed AC throughout. 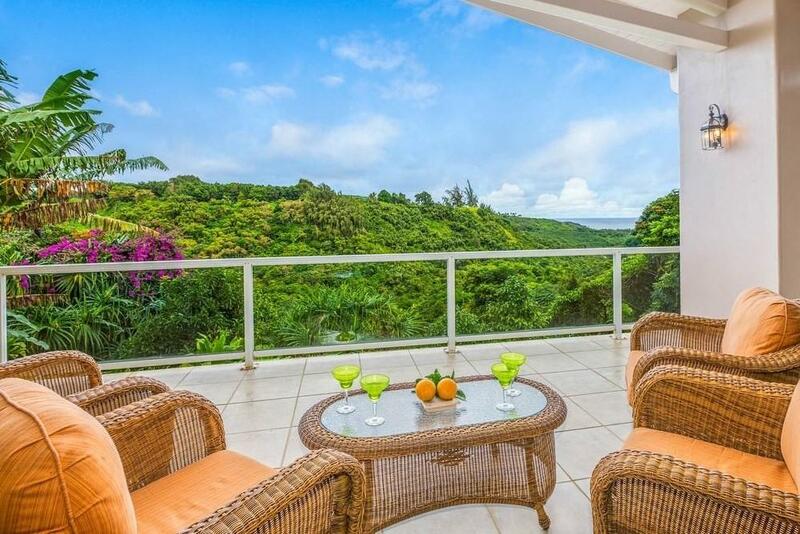 Relax on the large covered lanai while sipping on a Mai Tai, watch the Tropic Birds sail through the valley, feel the soft breezes, and listen to natures sounds and ocean waves. Pick juicy oranges, tangerines, and grapefruit off of the mature fruit trees on hillside behind the home, or harvest papayas and apple bananas galore. At night, take a blanket up the hill and lay down in the grass to gaze at the stars. "Honu Lani a blissful slice of heaven on the island of Kauai.